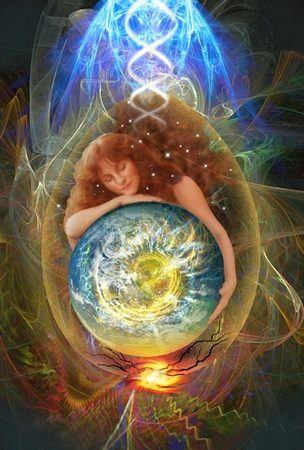 Join Intuitive Angelic Healer Tawnya Love for an empowering year of soul level shifting and sacred circle ceremony. The angels are summoning in our soul sisters for a powerful year of sacred ceremony amongst sisters. My angels have guided me to lead and facilitate a beautiful and powerful Sacred Sisters Circle. Spider spirit is with us guiding us to weave our magic and our light together to create a powerful synergy within this sacred circle. I am the dream weaver, the wisdom keeper and have been guided to lead our tribe! I will lead this empowered Women’s sacred circle, offering each sister sacred space to contribute her Divine gifts, voice and Light. We will come together Once a month for the next year with powerful intention to bring our magic together and co create miracles together. For thousands years women have come together and created sacred circles to assist in the healing of their tribes and communities. We once moved upon this earth with great power and reverence. It is TIME the angels say for me to lead my tribe once again. You know who you are, as you read this if you are one of our sacred sisters you will FEEL this deep inner knowing. Please simply listen to this inner soul calling and take the step into your power to come claim space and connect…spirit will guide the rest. Please invite your soul sisters and let us come together with commitment, and powerful intention to pull our resources, energies and light together to co create absolute magic! I AM ready for miracles…Are you? Our intention is to gather in 13 empowered soul sisters to come together once a month for the next year with powerful intention. Please be open to committing to this sacred circle for the next year. I encourage each of you to bring a sacred item to place on our Angel Alter to charge and share healing light over the next year in our sacred space. Please get a special journal to record all wisdom shared over the next year. Water and yoga mat and dress comfortably….invite your soul family to join the magic!